The EVS hosting organization Mladiinfo Slovensko has offered an opportunity to young people from different countries to join the short term EVS project entitled ‘Sign For Media’ for European Deaf Badminton Championships that through journalism volunteering they could promote the inclusion of young deaf sportsmen and sportswomen. Perhaps you have heard about Erasmus+ before but don’t have a clear information about it. Let’s think of Erasmus+ as a huge umbrella with different parts; these parts would include training courses, youth exchanges, study mobility etc. and EVS is also just one of them. You probably came across with the word ‘EVS’ but had no idea what it is. EVS, or, European Voluntary Service is an international volunteer program funded by the European Commission. It allows young people between 18-30 ages to carry out an international volunteer service abroad ranging from 2 to 12 months. The good thing is that Erasmus + covers complete coverage of the program, so all you need is to apply is motivation! #2. 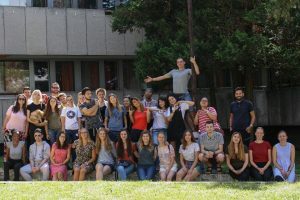 31 volunteers from 8 different countries are part of the project! 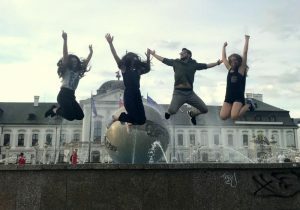 Thirty-one participants from eight different countries, United Kingdom, France, Germany, Russia, Ukraine, Bulgaria, Macedonia and Turkey who are interested in photography, video editing, writing, interviewing and social media are participating in this project. The goal is to promote the inclusion of young disabled people. 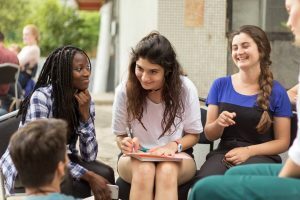 ‘It’s really interesting to be in the same environment with different cultures, you learn a lot from them’ says Monika Tehrani, a journalist volunteer from Bulgaria. #3. ‘Sign For Media’ aims to raise awareness of young disabled people. People with disabilities, especially the youth are most of the time excluded from our society, even though they might have range of different skills regardless of their disabilities. Thus far, the main idea of this project is to raise awareness of young people with disabilities and promote their inclusion, especially in sports in order to make their talents be more known and visible. #4. 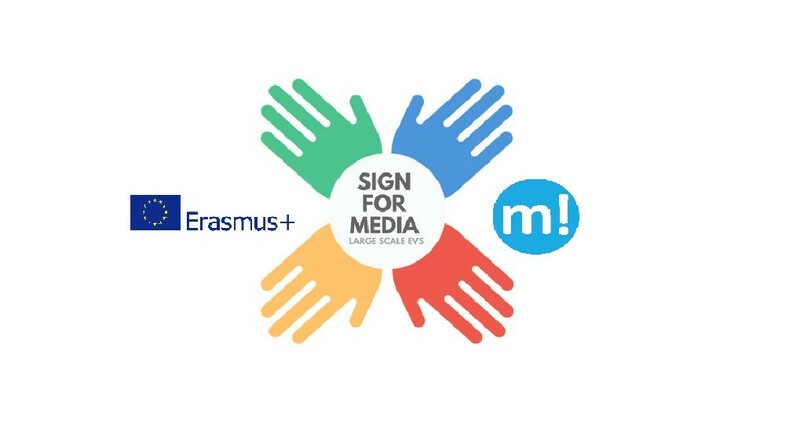 The name #SignForMedia has a double meaning. #5. #SignForMedia provides young people with professional training in different fields. The project aims to make sure that all participants gain enough professional experience related to the fields of their interest such as video editing, photography, social media, writing, conducting interviews etc, before being able to work as successful volunteers. Because of this, professional trainings and workshops supported by the Deaflympic Committee and professional journalists and trainers are provided during the project. #6. Free Slovak Language courses and Sign Language trainings are included in the project. 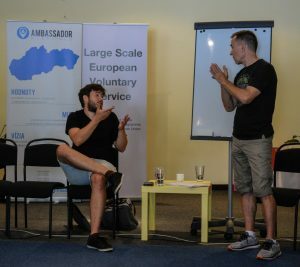 Volunteers are not only able to enrichen their professional experiences in certain fields, but they are also being provided with free Slovak language courses and Sign Language trainings. #7. The project is not limited to one place! Most of the time EVS projects are happening in specific countries and cities; Sign For Media, allows young people to explore the culture of Bratislava, Slovakia in the first two weeks and also gain professional education related to journalism, while the last two weeks participants will spend their time in Trenčín and put their experience and knowledge gained in Bratislava into practice. Visit our website here, or, like us on Facebook.